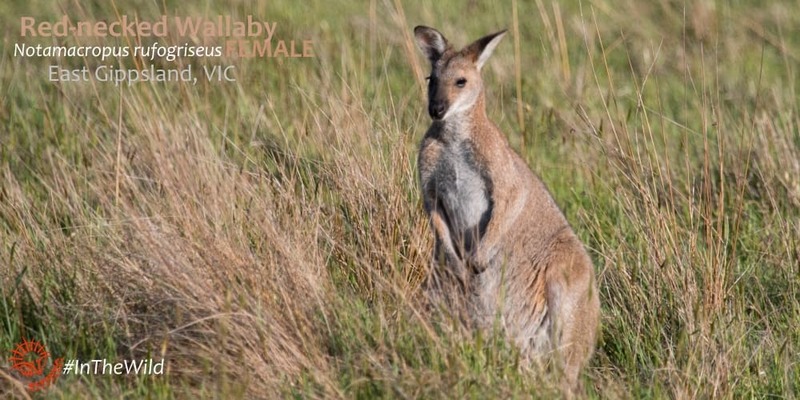 In south-eastern Australia (Melbourne, Sydney) travellers are most likely to see two different types of wallaby: Swamp Wallaby & Red-necked Wallaby. 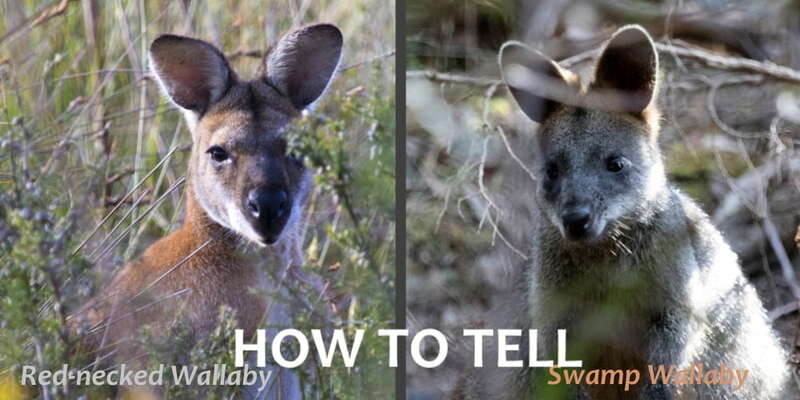 Here’s a summary of the differences between these two similar macropod* species, based on appearance, style (behaviour), location and habitat. 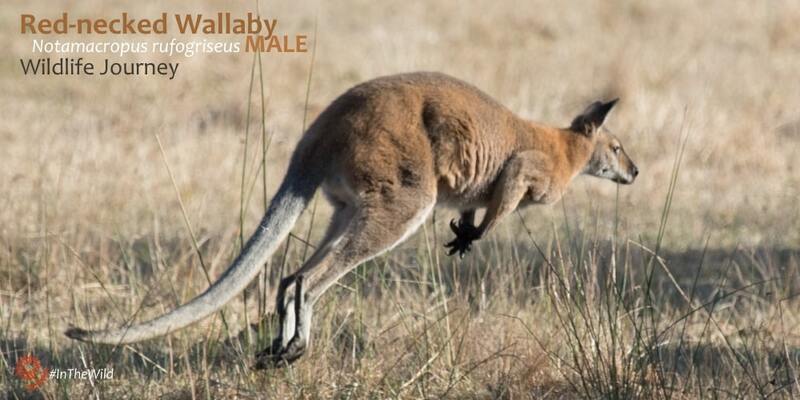 Large males of both species of wallaby stand to about waist height on an average adult human. This is where they really differ. inner ear is always dark. Ear fluff can be ginger. Overall dark slate grey and chocolate brown, with rufous (reddish) tints on the belly, ears and crown. Dark legs & hands. Tail black, sometimes with a white tip. They have a white jaw stripe but no pronounced leg stripe. inner ear is always pale grey or flesh-colour. Ear fluff is white. Overall light grey and reddish-brown, with a silver grey tail and lower legs, but dark hands. They have a strong white stripe along their jaw, and sometimes a hint of a leg stripe across their thigh. Red-necked Wallaby faces are very distinctive – they have a very dark nose and muzzle that goes right up to between their eyes. This feature sets them apart from Eastern Grey Kangaroos which are often nearby. 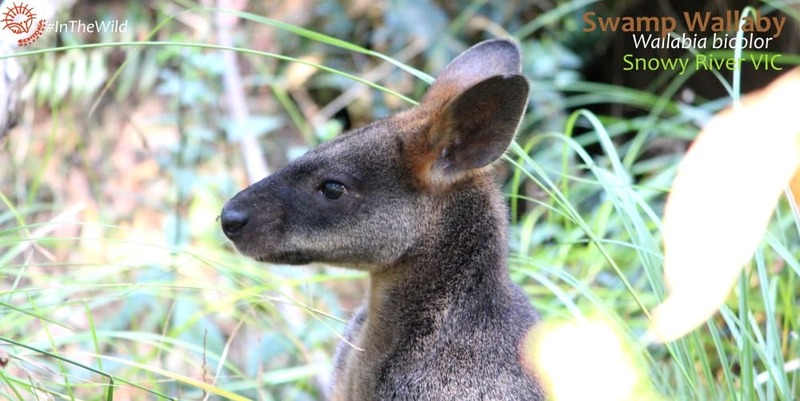 Read about all the kangaroos and wallabies we see on tours here. You can see a Red-necked Wallaby in a habitat you expect a Swamp Wallaby, and vice versa, but there are some trends in habitat choice. 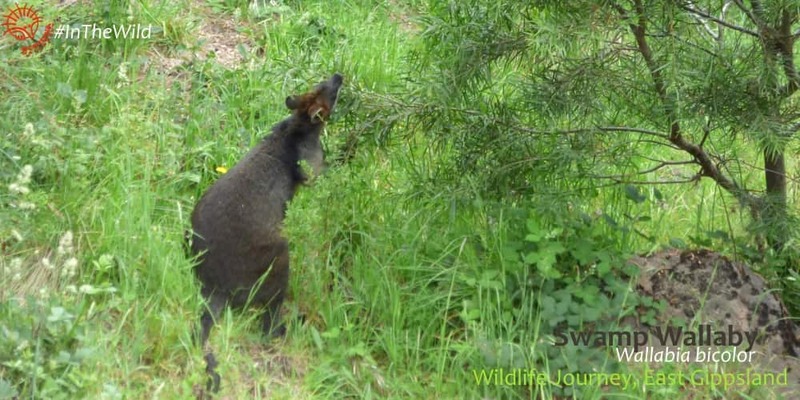 Swamp Wallaby: Though generally associated with thick, dense forest in gullies they can also be seen right throughout Victoria in very open woodland, like the You Yangs. They are generalist feeders (see below) and seem to have adapted to a wide range of habitat types. 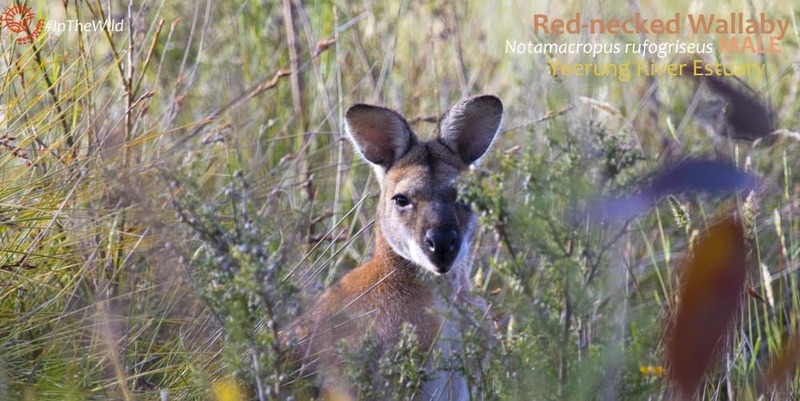 Red-necked Wallaby: They overlap a bit with Swamp Wallabies, though Red-necked Wallabies prefer the ecotone – the border area – between forest and open grassland. They are best seen on the edges of farmland next to a National Park in the morning and evening. All truly wild macropods* are nervous of humans, as a general rule. However there are some big differences in behaviour between Swamp Wallabies and Red-necked Wallabies. Swamp Wallaby: They can be either extremely nervous, or quite placid at times. In the same park, on the same day, some individuals will calmly feed and groom in close proximity to humans without expressing any concern, while others will flee wildly at the slightest approach. We quite often come upon a Swamp Wallaby at close range, in dense bush, when they have not heard or sensed us approaching. We have had some exciting moments! Red-necked Wallaby: We rarely get as close to Red-necked Wallabies as we do to Swamp Wallabies. 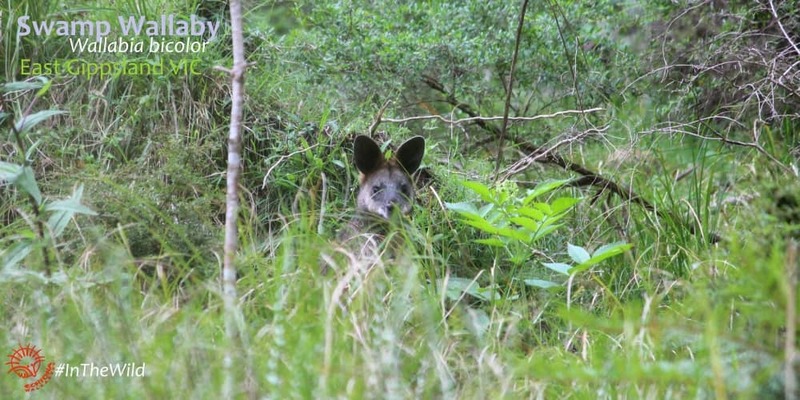 Red-necks seem warier than Swamp Wallabies, but we encounter them in quite different environments in East Gippsland. 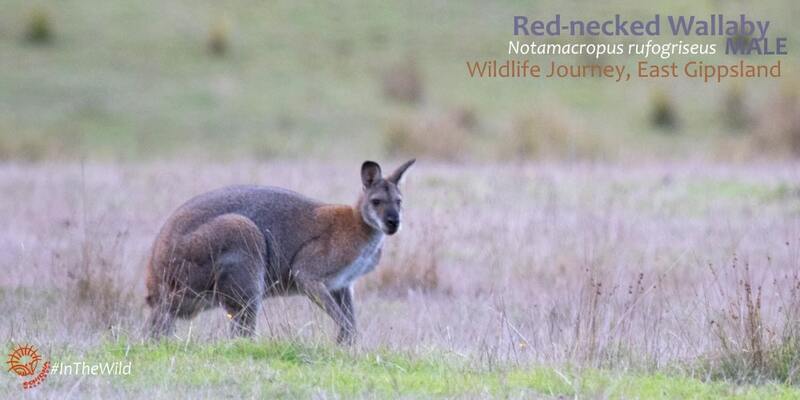 We usually see Red-necked Wallabies in open grassland, where they have plenty of time to hop away if they choose. 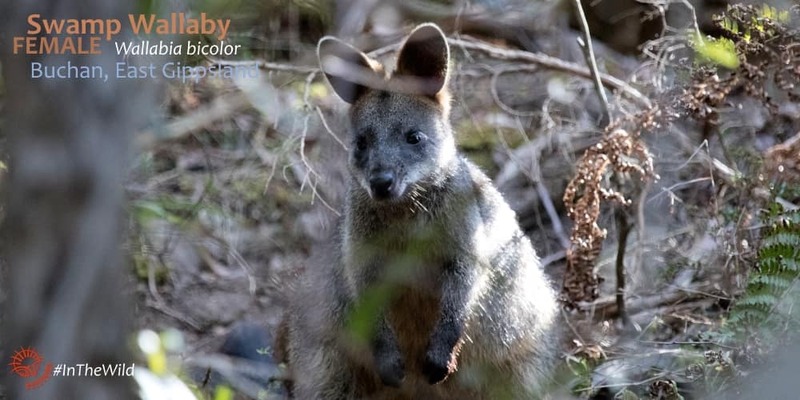 Both wallaby species live in the forests around Melbourne, Sydney and Brisbane. 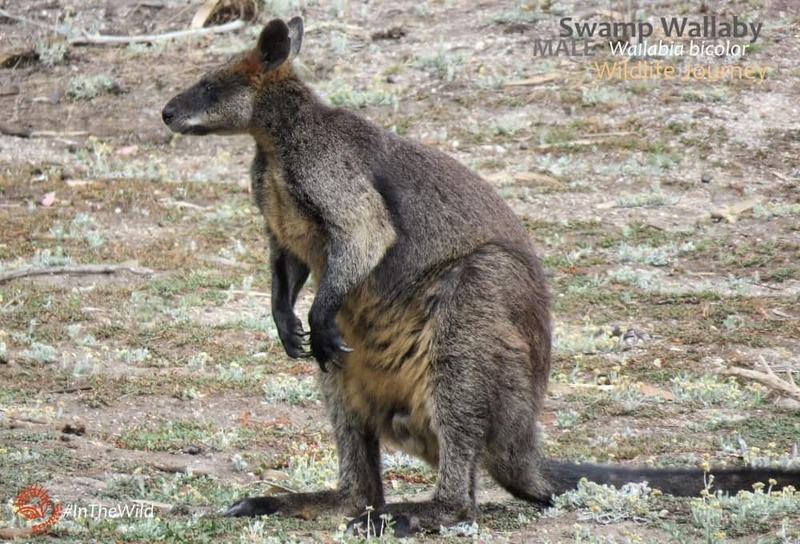 Swamp Wallaby: All along mainland Australia’s east coast, from the eastern edge of South Australia, through Victoria and NSW, to the northern-most tip of Queensland. Unlike the Red-necked Wallaby, they do not occur in Tasmania. Red-necked Wallaby: South-eastern mainland Australia and Tasmania. Like the Swamp Wallaby they occur in small numbers on the eastern edge of South Australia, through Victoria and NSW, but they differ in Queensland – Red-necked Wallabies only occur in south-eastern Qld. See their range maps here. Swamp Wallaby: grasses, herbs, ferns, fungi (including underground fungi) and leaves of shrubs. We have also seen them eating the exuded sap from wattles (Acacia sp, especially Golden Wattle). Red-necked Wallaby: they mostly eat grass, but also some herbs, young shoots and leaves of shrubs. Why are wallabies special? Wallabies are like adorable mini-kangaroos, and their joeys are just divine. 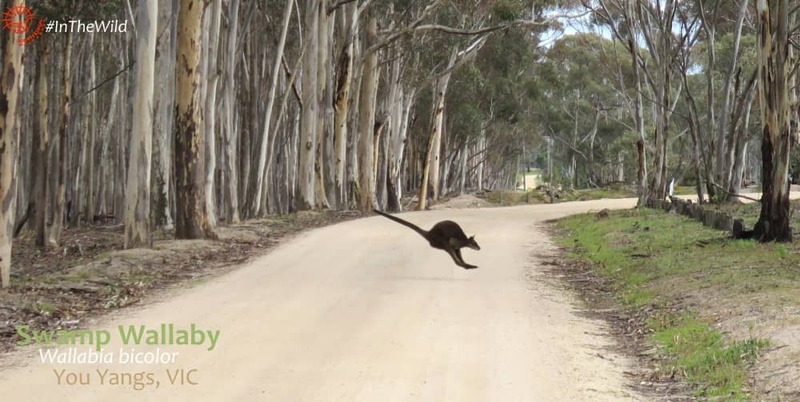 Some of our most exciting moments on tour are contributed by a wallaby – the one that jumps out from behind a tree, leaving your heart racing; the one that refused to move off the track even as you walked closer and closer; the one that jumped straight up a vertical rock face with a joey in her pouch! 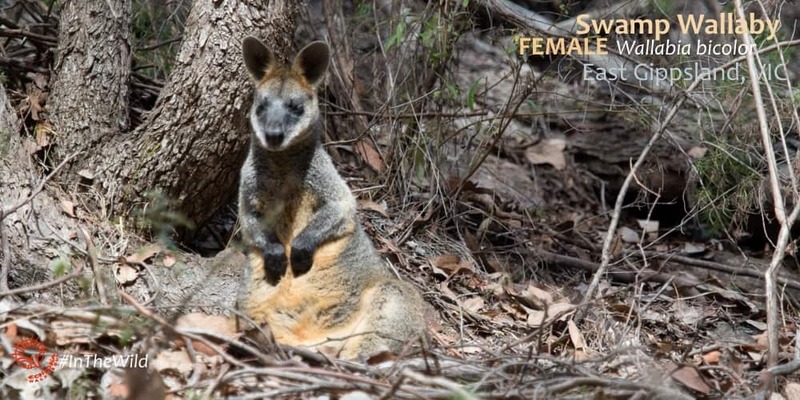 Best tours to see Swamp & Red-necked Wallabies: 4 day Wildlife Journey in East Gippsland or 7 day Coast & Rainforest option of our Maximum Wildlife tour. Red-necked Wallabies also live in Tasmania, where they are called Bennett’s Wallaby. 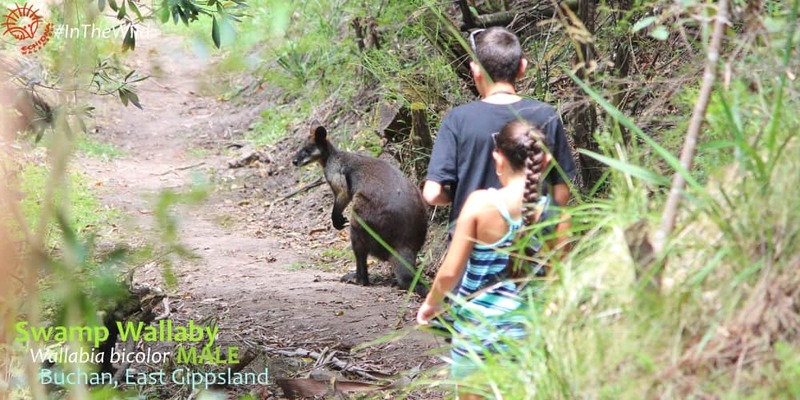 Swamp Wallabies don’t live in Tasmania, but other types of wallabies do – if you’d like to see them we recommend Premier Travel Tasmania and the Maria Island Walk.